It has occurred to me fairly recently that something which I really want/need to develop as I try to manage my disordered eating is a sense of regularity and routine. At different times throughout my life I’ve had different patterns, but one thing that’s always been a struggle is eating in the morning. Feeling stress and anxiety upon awaking can definitely contribute to me not eating, as well as a pervading sense that I have something far more urgent to do, like go to a lecture, or write an essay, or get to work on time. Any excuse, really, but the reason is often linked to the idea that ‘I don’t have time’. Perhaps this is because I have poor time management skills. Actually, no, I definitely have poor time management skills. I leave all my university reading til the last possible moment – cue me today eating my lunch at 13:45, trying to finish the required reading for my seminar at 2pm. This habit of leaving things till the last possible moment seems to translate in to my diet as well. For a long time when my feelings towards my body shape were more violent, I forced myself to delay my eating for as long as I could stand it. These days, quite a few years into practicing the rituals and techniques of restriction that I developed for myself when I viciously hated my body, I find myself in a strange position where mentally I want to restore my diet and body to health, and yet in action I often make many of the same choices I made when I was actively restricting, in a king of strange, unconscious, habitual manner. I’m not sure if I would even notice it if it weren’t for my boyfriend having to ask me the question “Do you think you might want to have something to eat soon?” many mornings in a row. To try and combat the issues this irrational thinking creates and give myself no excuse not to have breakfast, I’ve recently taken to making overnight oats. The main reason is that I can easily take these with me in a lunchbox if I can’t make myself eat it before leaving the house. It’s literally no effort, so time isn’t an excuse. Today I had lunch at about 1pm: 3/4 of a basil and tomato pasta salad. I started to eat the oats before a seminar, but after 2 spoonfuls the professor came in, so I put them away and forgot about them. I finally finished them this evening, just after 6pm. The truth is, I have to get organised. And since I’m disorganised in every aspect of my life – my room fluctuates between being pristine and submerged in discarded belongings, my sleeping pattern hasn’t been regular since I was a toddler, etc etc – this is going to be very difficult. And I think it has to be a holistic, slow, “it’s a process” type change. But the impatient perfectionist in me that has become used to instant gratification is not so thrilled by this concept. I’d like to start getting up earlier, eating earlier, and going to bed earlier, rinse and repeat, but I’ve fantasised about that since I was about 15 and never been able to enforce it. All in all I’m not really sure what the point of me writing this was. I suppose I just wanted to air some thoughts, seeing as I haven’t written a post in months. Articulating these thoughts should, in theory, help me track/document/chart my progress or journey in the long run. But it’s also quite cathartic during the writing process too, so I suppose the point of this post was really to get me writing, and thus processing, again. Thanks for reading, if you got this far through these neurotic ramblings. Hello there, me again. It’s been a few weeks! I started this blog earlier this year to give myself another platform to express some truths about myself and my experience of things which, though important, are probably not things that I ought to drivel on about on my personal social media accounts. For many people Facebook, Instagram and Twitter etc are for memes and pictures of cats, rather than for people like me to be openly mental/Not Ok on them. Since I was around 12 years old I’ve struggled with a very awkward relationship with food. 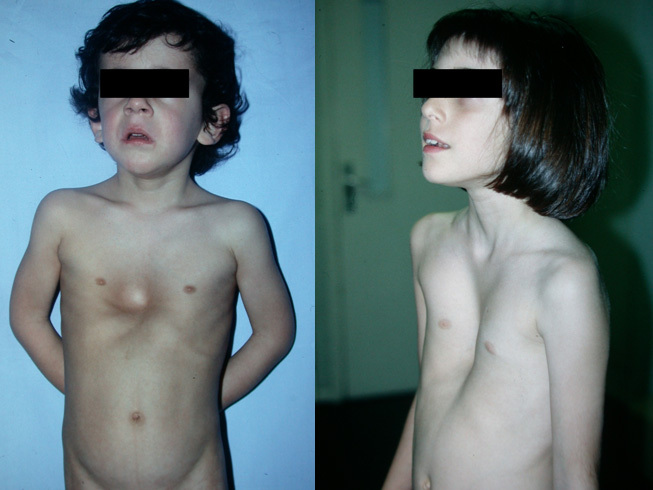 I’d grown up being a short, skinny child and to top it off, I was also born with a bone deformity called Pectus Excavatum which made parts of my skeleton very visible. I was a bony kid and I was used to it. Below is a picture of the deformity I grew up with. Obviously, as a girl, I didn’t stay this bony child forever and at around 12 I naturally gained weight as my body prepared itself for adulthood. A part of my brain, or my mind, or whatever, went into panic mode at this point and decided that this weight gain was something I had to counteract at all costs. I managed to keep my habits undercover – never finishing a meal and letting my Dad have my leftovers was a winner for me, as I knew I could rely on him to empty my plate. Spending half of my dinner money and keeping the rest for another day. “Filling myself up” with 2 packets of crisps and a glass of water instead of lunch. I managed to stay under the radar for most of my life. Since I had always been underweight, I never really experienced a big drop in how much I weighed, and I didn’t behave in a way which caused any suspicion. This changed when I went to my first University. I was sexually assaulted in Freshers Week, before uni started, and had a quiet, practically invisible meltdown, began abusing substances that suppressed my appetite and almost completely stopped eating. There was a louder, more visible breakdown later, but that’s a story for a different post. It wasn’t until I spoke to someone from home that I even accepted that I had been assaulted; I had been blaming it on myself and dealing with the fallout of my mistakes by picking up these destructive coping mechanisms. A few weeks after the conversation with my friend, and after some coaxing, I decided to go to a CBT therapist and get myself together. This was short lived, but I did come out with a few nice little labels which branded me as Not Normal. Wooo! You would think this could be a turning point for me, and a solid starting point to make progress from. But when I got my diagnoses, my therapist told me (in the kindest way possible) that my BMI wasn’t low enough for me to have full-blown, real anorexia. Instead I had this “Other specified feeding or eating disorder” which, as a requirement, meant I wasn’t quite skinny enough for Actual Anorexia. My ED accepted that as a challenge. Now at 21, almost 2 and a half years later, I am ashamed to say my BMI is 17.1. I am at least half a stone underweight, and only half a pound more than my all time lowest weight, which I hit in December 2017. And yet I’ve considered myself as “in recovery” since this years’ New Years Day, when I made a resolution to get over my eating disorder. In a roundabout way, this post is an acknowledgement that I have a problem I am trying to solve, and this blog is going to help me do that, I hope. This isn’t simply a “vegan blog” or a “food blog”, as I presented it when I started out. This must also be a mental health blog, because, for me at least, food and mental health are intrinsically linked. What I eat has a direct correlation with the state of my mental health, which clearly hasn’t been on top form over the last few years. When I made this blog, I shied away from making it an open and honest reflection of myself and my relationship with food, yet I was – and still am – sure that a food blog is something that could help me. Perhaps if I use it as a tool to share my journey, record my mistakes and my achievements, and connect with other people who are trying their best to recover from something (which we all are, really) then I might reach my goals a little faster than I have so far. Hopefully if I keep myself as engaged with recovery and weight gain as possible then one day I will be as Zen, healed and at peace as I’m pretending to be here.